Google recently announced a rather nifty feature in YouTube: Auto-translation of auto-generated video captions. So not only is Google automatically transcribing the text of its videos, it’s also providing translations — via machine translation. Now I just need a “machine reader” so I can process all of this new content — as I’m running out of hours in a day. In the next few months we expect over 150,000 Youtube channels to implement auto-captioning with translation. This is just the beginning and we hope that all Youtube content will soon be enjoyed by all Youtube users, regardless of what language they speak. Here’s how you enable the auto-translation — hover your mouse over the Closed Caption icon and click the Translate Captions link. I found the language-selection overlay (shown below) challenging to scroll through. But I suspect this feature will be automated eventually, similar to how Google’s Chrome browser has automated translation based on your language setting. 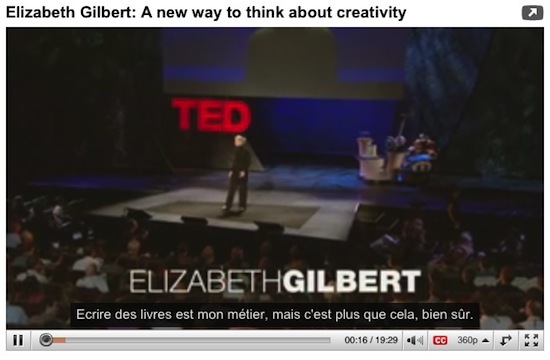 What I find interesting about the Gilbert talk is that TED has recruited its own army of translators — human translators — to do the same thing but in higher quality. I think it’s safe to assume that the volunteers are going to offer a much higher-quality translation of the video. But TED does not (yet) support the breadth of languages that Google supports. 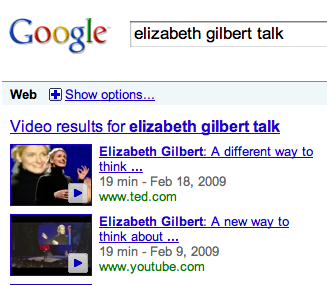 So while TED has the advantage in quality, Google has the advantage in languages. 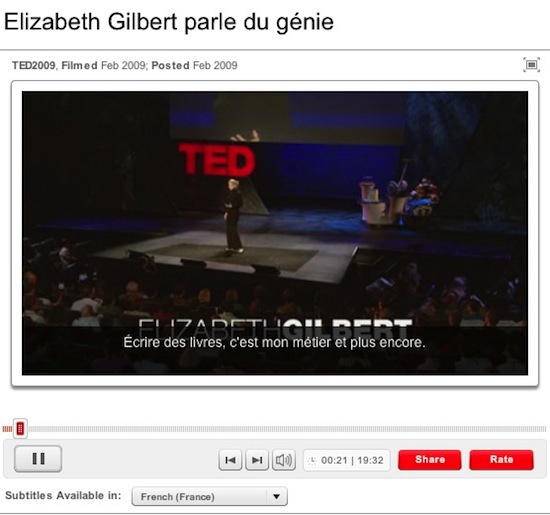 But the larger is to what extent Google will make the TED-translated video as easy to find as its own YouTube version. Will the crowd continue to be as enthused about translating content by hand when Google provides the same service, albeit in lower quality, for free? I think the first challenge for Google will be to make the MT function work properly for video creators. This was not my experience today. I tried using the feature on an English video on our company YouTube channel. After chewing on the video for a bit, the screen presented a “Machine Transcription (Failed)” message, and that was the end of that. No retry button, no explanation of why, no recourse. The video content is simply 2 people in conversation, with some light background music.